Soft & Matte Creamy Lip Color by Golden Rose. Lipstick. It leaves a matte, full coverage. The special non-ingraining formula prevents the formation from creating unsightly crusts and cracks. The jojoba and avocado oils included in the composition ensure comprehensive hydration and softening of your lips. The product does not cause color fading, ensuring a constantly fresh look. 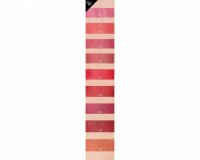 The lipstick is available in 18 original color variants. Moisturizing formula perfectly softens and nourishes lips. Does not emphasize dry skins. Thr color is great, love this!! Im unsure of how this product works. 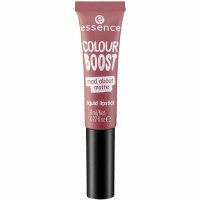 I usually apply it on my lips then i remove the excess with a piece of tissue and it leaves a velvet tint on my lips. feels very light and doesn't look excessive.. I kind of like it, might try another color. The color is very different than on the picture. 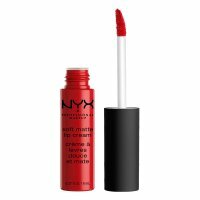 Good product, good smell, pleasant texture, easily smeared, matt color, holding up pretty well.